Free Electron Laser (FEL) are fourth generation light sources capable of producing high brightness light pulses, ten billion times more intense than those emitted by synchrotrons, and of very short duration, with a wavelength in the extreme ultraviolet to hard X-rays. Throughout the world only four light sources of this type are today open to international users who get the unique opportunity to perform experiments not possible a decade ago shedding light on processes in matter at their natural length and time scales. 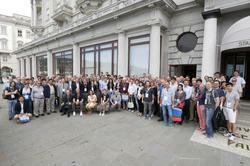 The three-day international Science@FELs conference, organised by Elettra Sincrotrone Trieste, has taken place from September 5 to September 7, 2016 at the Savoia Excelsior Palace in Trieste. This conference is a follow up of the Science@FELs 2014 at the Paul Scherrer Institute and the one in 2012 at DESY and is organised regularly as an activity of the Collaboration of European FEL and SPS Facilities (FELs of Europe). This year LaserLab Europe, the Integrated Initiative of European Laser Research Infrastructures, has taken part in the organisation of the Science@FELs conference with the aim to stimulate more extensive cross-fertilization and collaboration between the two communities, i.e. those working with lab-scale lasers and FELs, respectively. The invited speakers roster comprised many pioneers in the use of table top and free electron lasers for exploring structure and dynamic responses of matter to external stimuli, scientists whose works are not only seminal, but have demonstrated enduring value to both the research and development communities. Over 150 attendees of the event, among whom also the Directors of major facilities in Europe and USA were given the opportunity to appreciate and discuss the scientific highlights achieved during the last years and the speakers' views in the fast evolving development and operation of lasers sources that are enabling experiments to shorter wavelengths, adding element and chemical state specificity by exciting and probing electronic transitions from core levels. The research performed using FERMI, the only seeded FEL facility, under continuous development at the Elettra Laboratory, has been extensively presented in 8 out of 32 talks at the conference, highlighting the uniqueness of Fermi in terms of tailoring and controlling intensity, energy and timing of the laser pulses. 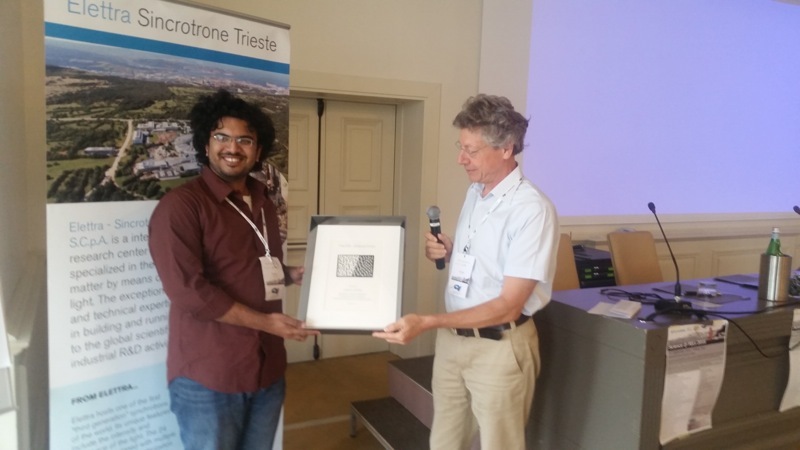 The "FEL Science and Applications" prize has been awarded to Dr. Kartik Ayyer, a young scientist from the Center for Free Electron Laser Science (CFEL), a joint enterprise of DESY, the Max Planck Society (MPG), and the University of Hamburg, for his novel methodology developed for macromolecular diffractive imaging using imperfect crystals.